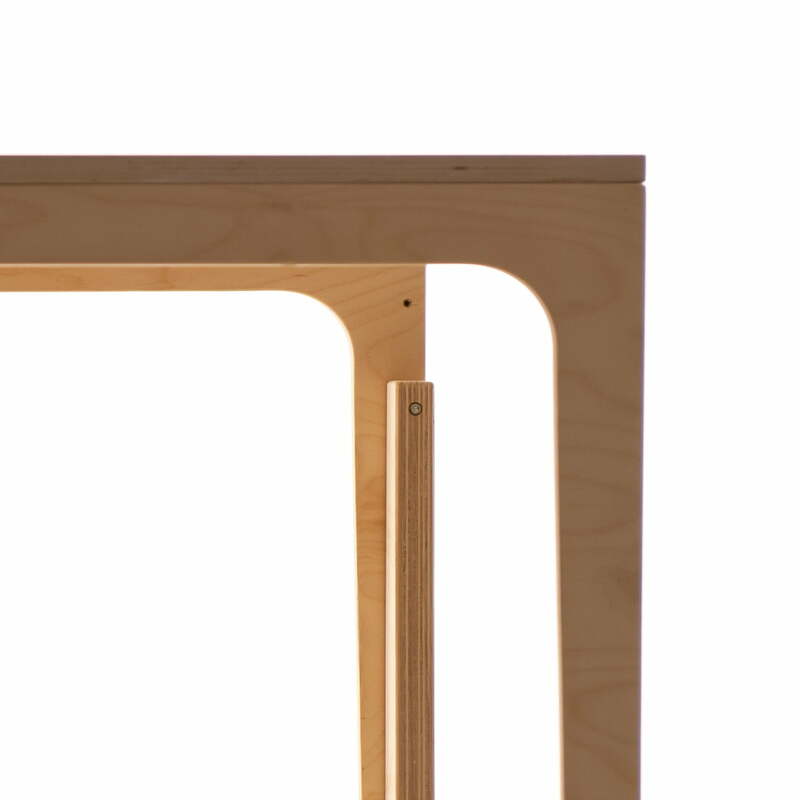 The Sibis Vaclav by Sirch is a children's table, that grows. Adjustable to 3 different heights, the lowest setting is for kids from the age of 6. It is the ideal desk for gradeschoolers to do their homework on, up to graduates, to study for their exams. 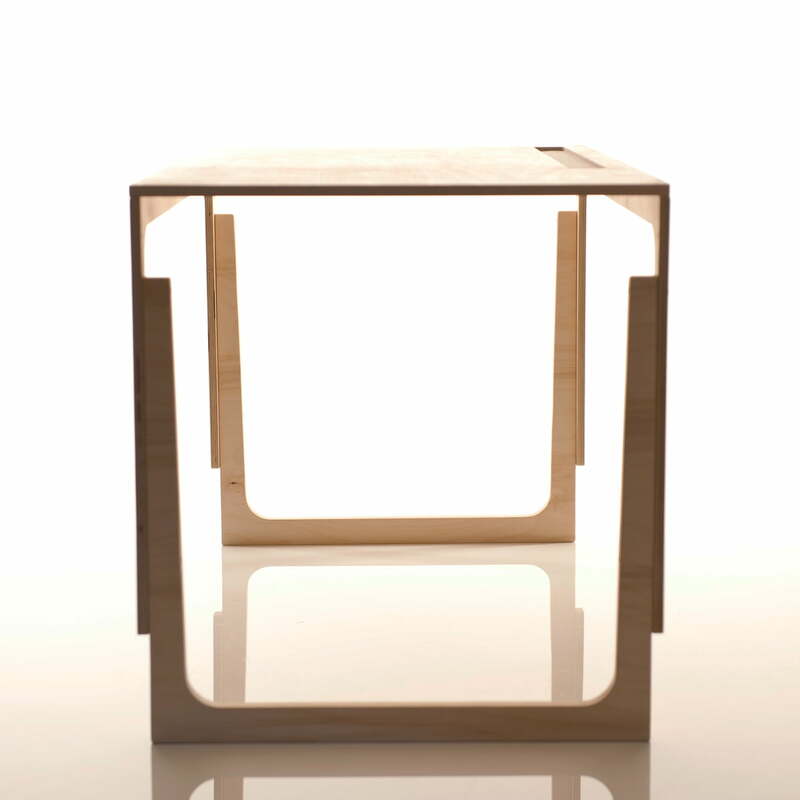 The table was made in the Sirch factory in Allgäu and is made of raw, finely-polished birch plywood. Its timeless yet striking design is loved by young children as well as young adults. 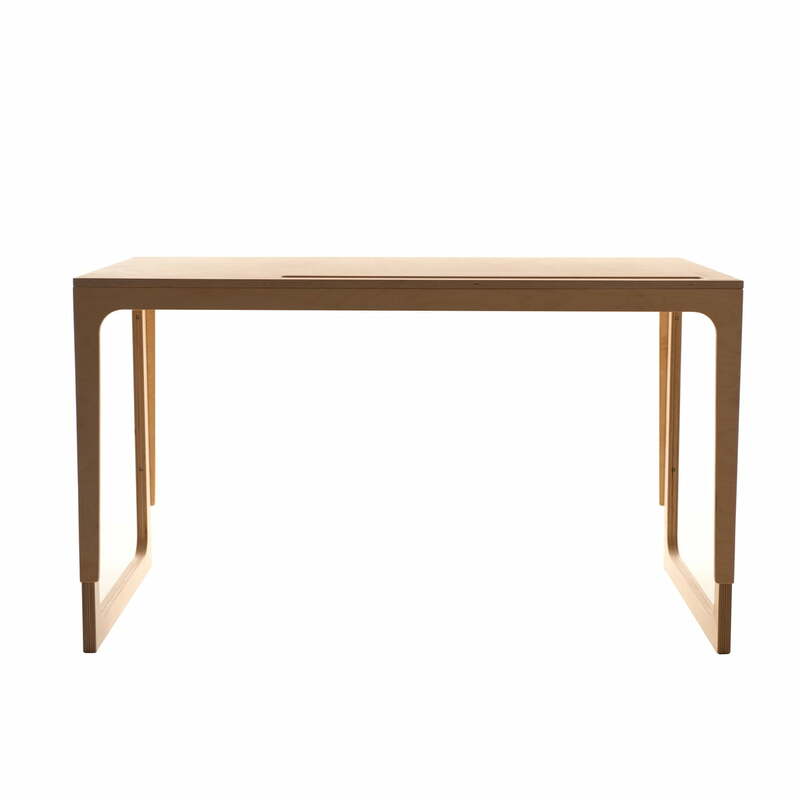 The spacious tabletop (115 x 63 cm) is available with a white waxed or laminated finish, which makes it resistant to dirt and moisture. 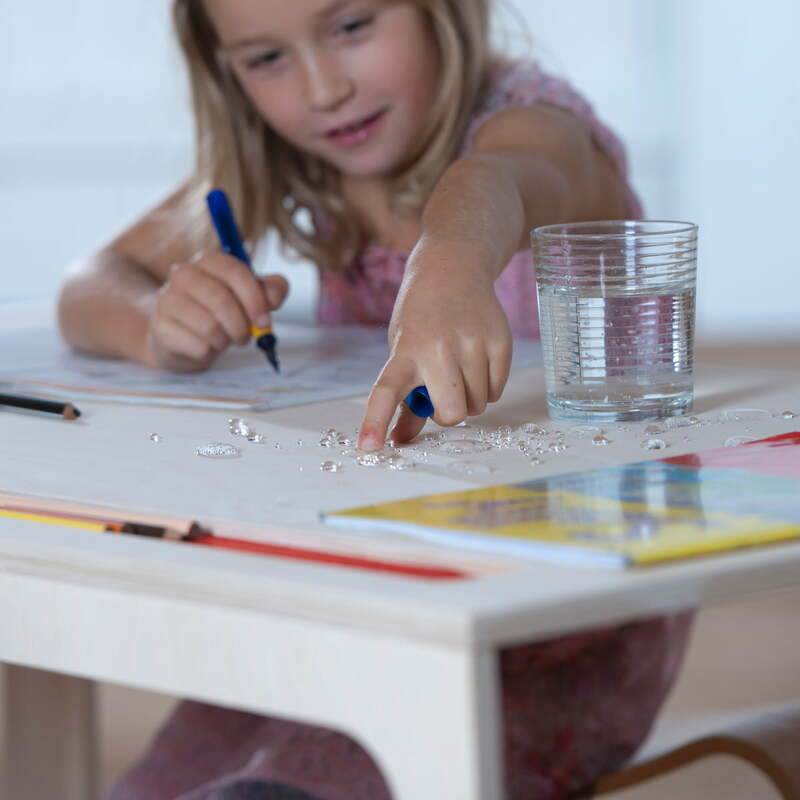 The children's table is optionally available with a built-in pen tray, which provides a visual highlight. It is integrated into the tabletop and covered with felt. This is where fountain pens, scissors and pencil sharpeners can be discreetly kept without obstructing the appearance of the tabletop. 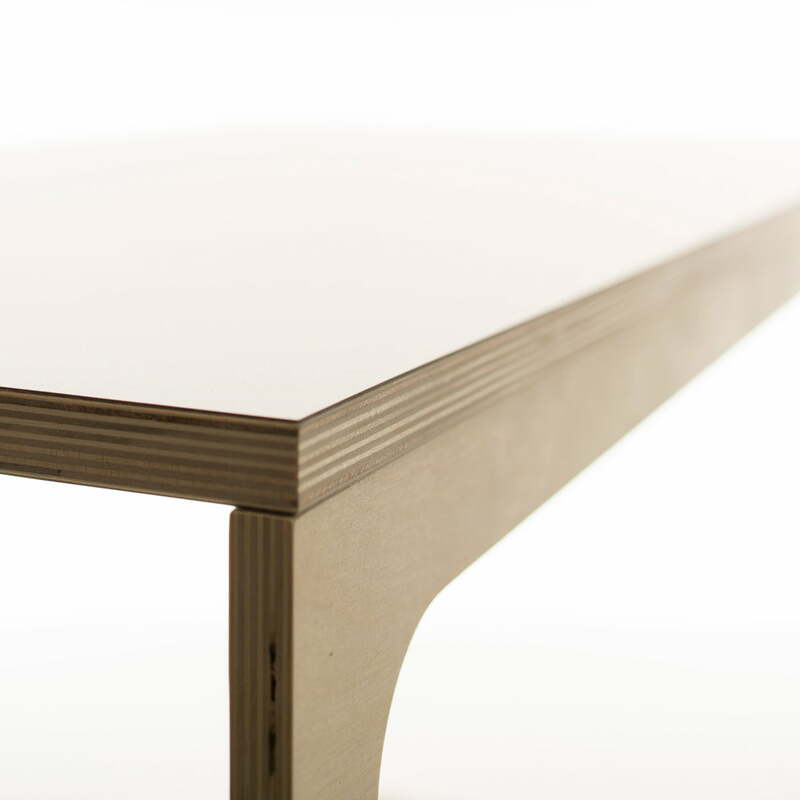 Detail view of the Sibis children table out of raw, finely polished Birch plywood. 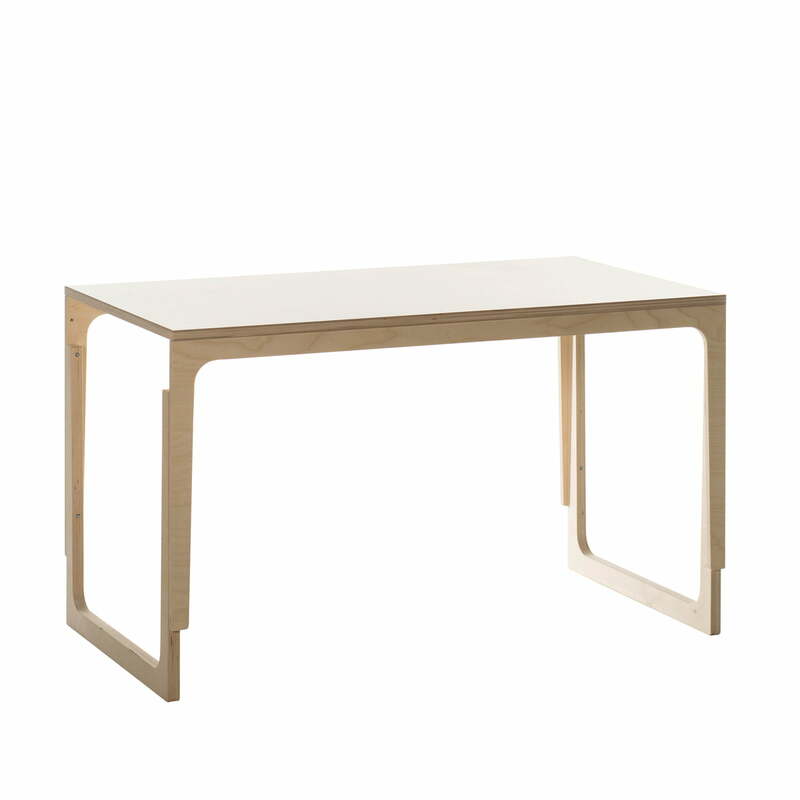 The table top in white is available with a laminated or waxed finish. 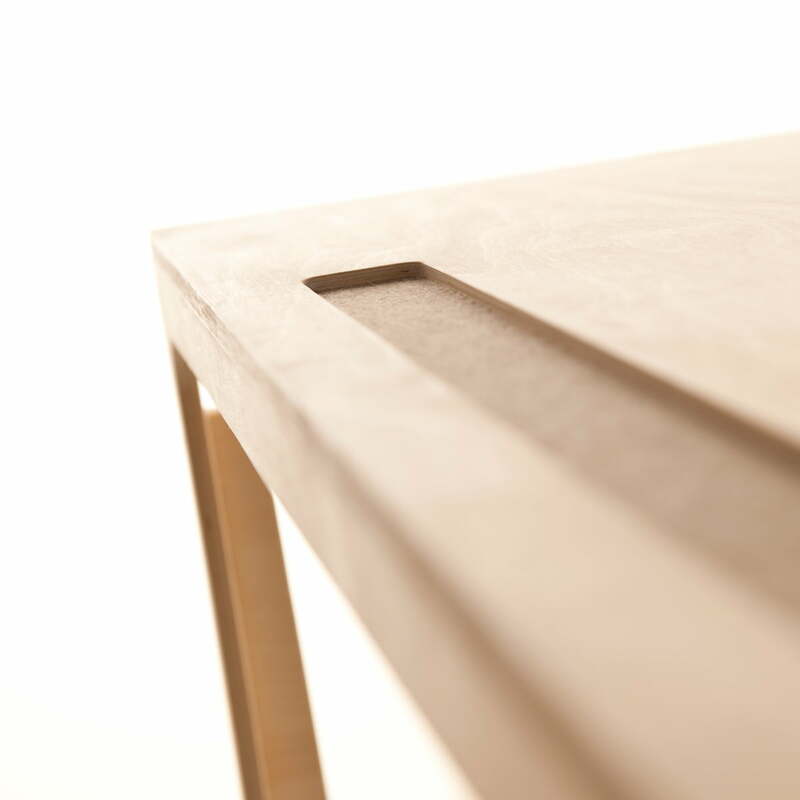 Detailed product image of the pencil groove built into the Sibis Václav children’s table, available with different coloured felt inlays. The storage is used for pencils, rulers, and other stationery.